John Avendano, president of Kankakee Community College, speaks while other higher education officials look on. 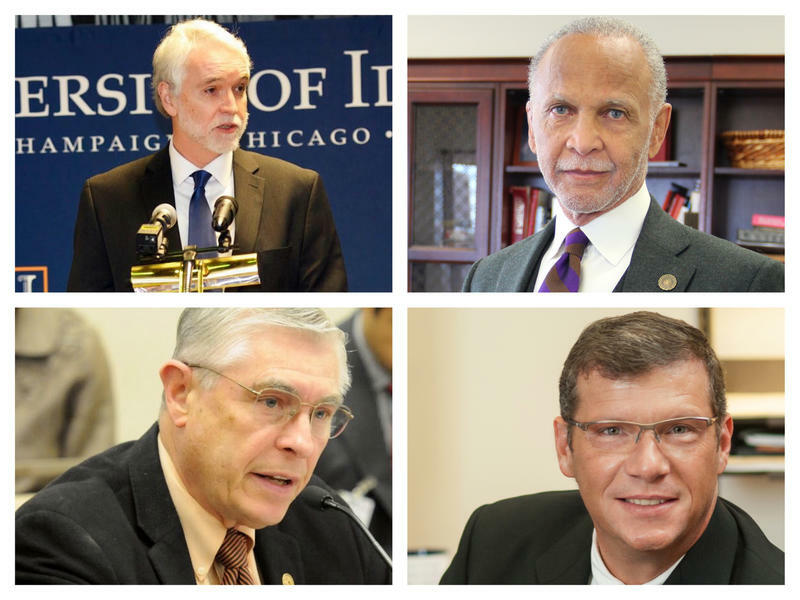 They are (left to right) Larry Dietz, president of Illinois State University; Joseph McLean, former employee of Eastern Illinois University; Thomas Calhoun, president of Chicago State University; Catie Witt, president of EIU student body; Tim Killeen, president of the University of Illinois; and Jack Thomas, president of Western Illinois University. "This is a horrible, perilous situation for both privates and publics, because we can go some of us for a little bit of time, but my message to the legislators and the governor is: Don't take us for granted." Barbara Farley went on to say schools still need the money owed by the state for the soon to expire fiscal year plus a budget for the new year, which begins on Friday. 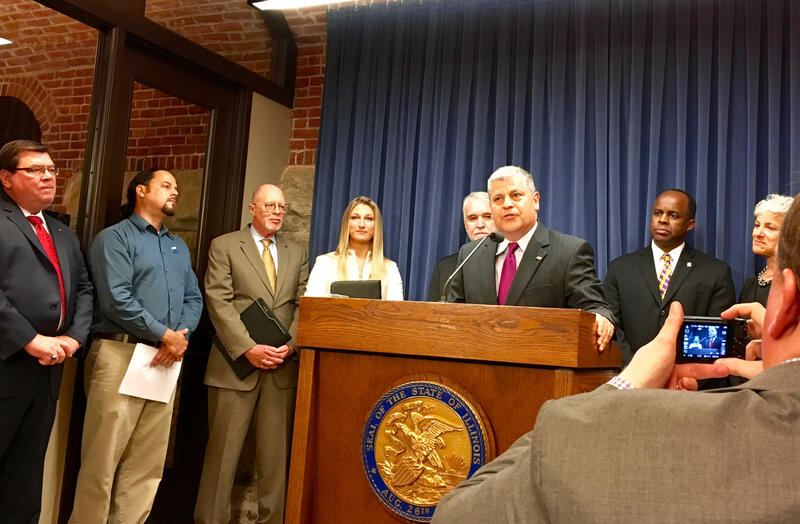 For the past year, Illinois colleges and universities have gone without state funds, save for a stopgap measure approved a few months ago just as Chicago State University was threatening to close. But that amount was a fraction of what the state owed schools. 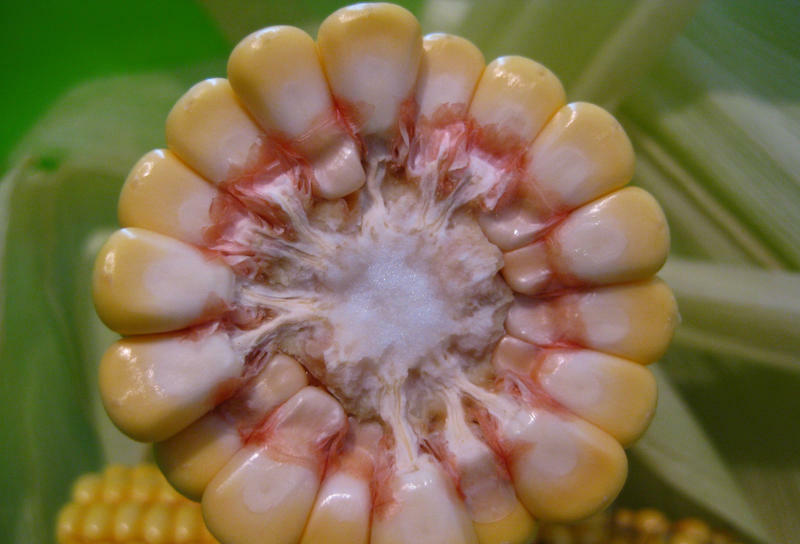 "It resulted in 13 percent of our typical funding from the state. Normally $7 million; we received $915,000. That's like going through a desert, starving, thirsty for water, and just getting sprayed with mist, and just saying you should be happy you got that." Gov. 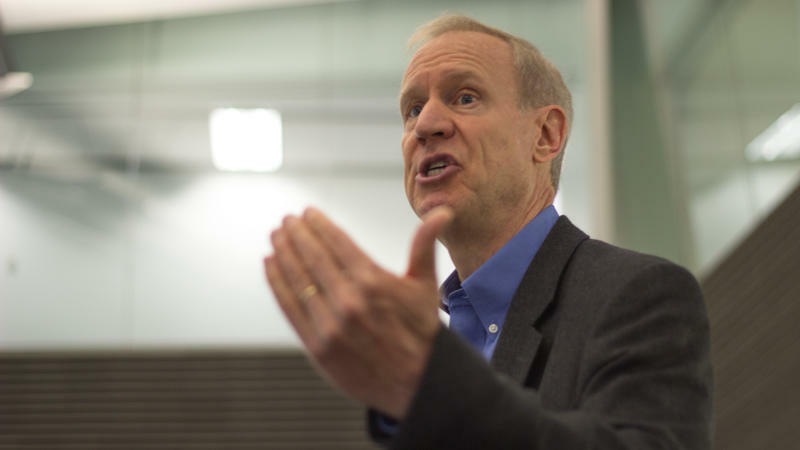 Bruce Rauner says his Republican negotiators and Democrats are getting closer to an agreement on a partial state budget. Meanwhile, bipartisan gun control legislation has surfaced in the wake of the massacre of 49 people in Orlando, Fla.
Higher education has been devastated by the state's year-long budget impasse, which has cut university funding by more than 70 percent. They went without any state funding until April, when lawmakers approved a stopgap funding measure to give colleges and universities $600 million to sustain them through summer. For now, the future doesn't look much brighter. 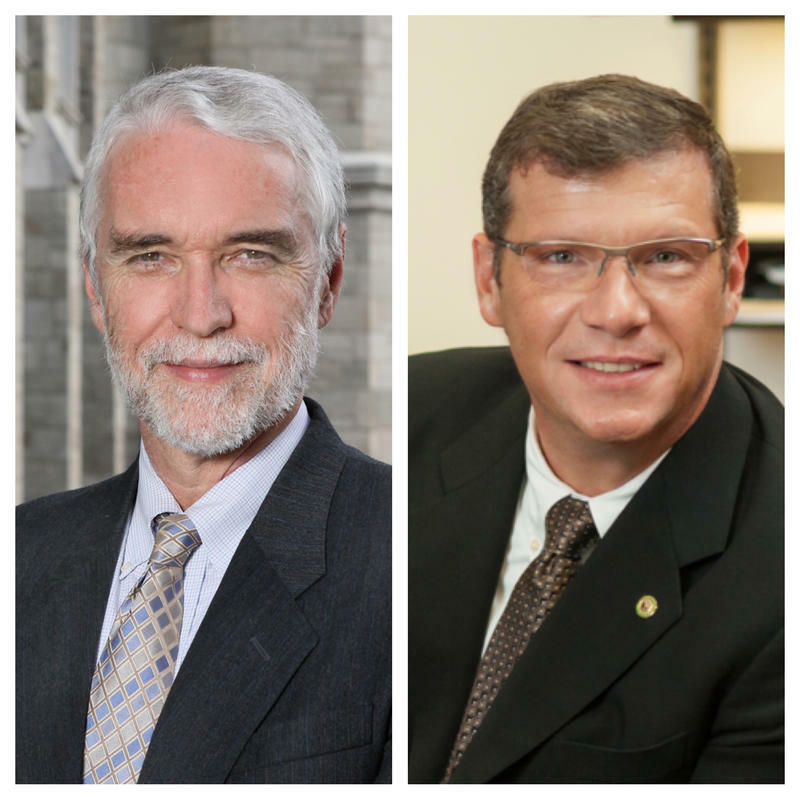 Higher education officials used terms like "starving," "dismantling," and “economic suicide” last week as they tried to persuade state senators to find some way to heal the budget impasse.